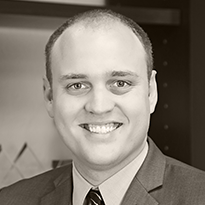 Michael Story joined Rich & Cartmill in September of 2014 and specializes in commercial insurance. He is a graduate of the University of Oklahoma and earned his Certified Insurance Counselor (CIC) designation in February 2014. Before joining Rich & Cartmill, he was an agent with BancFirst Insurance Services. Michael is currently serving in the Oklahoma Army National Guard as a Sergeant in the field of Military Intelligence. Michael also serves on the Board of Directors for Cleveland County Habitat for Humanity and he is a member of the Builders Association of South Central Oklahoma (BASCO), a local chapter of the National Association of Home Builders (NAHB). Michael and his wife Meaghan have been married since 2005 and have two children, Brendon and Evangeline. They live in Moore, where they attend Highland Baptist Church.